For a few months now I've been following the Color Throwdown challenge, but this is my first time participating! This week's colors were navy, green, and white. 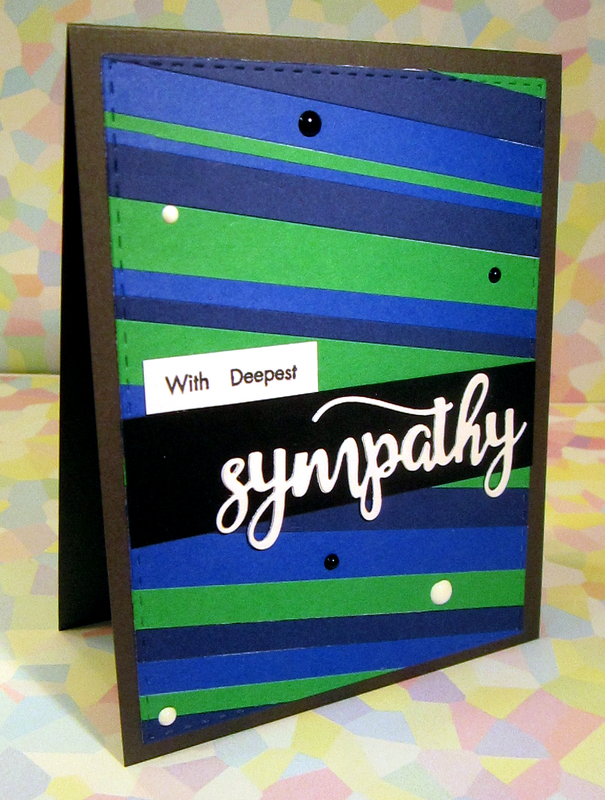 I added a neutral (black) and used a gray card base to make this work as a sympathy card. The main panel gets its color from strips of scrap cardstock, and then I cut the panel out with a JustRite stitched die. The sympathy die and stamp set are by Avery Elle. 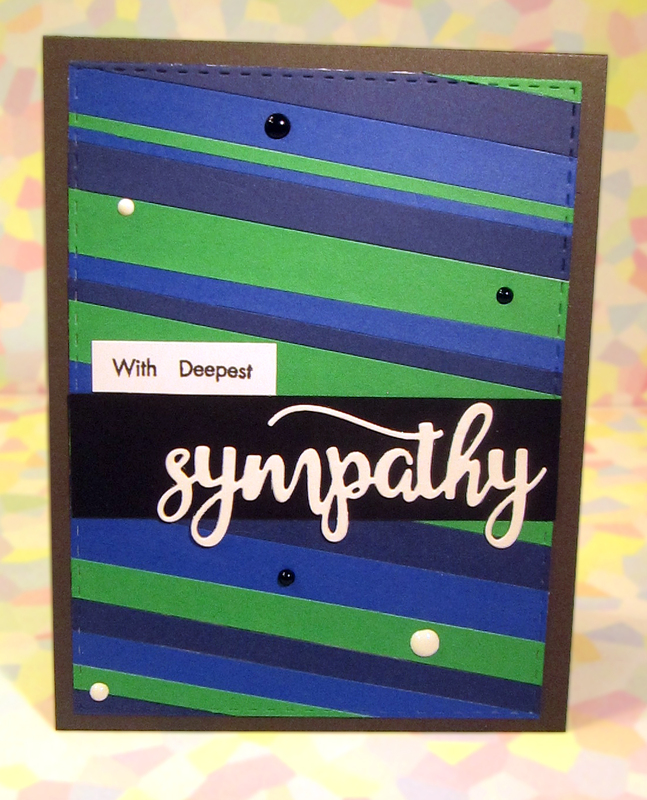 I finished it up by adding Nuvo Drop embellishments.